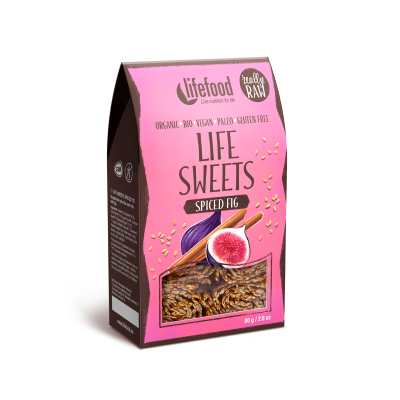 Innovative raw sweet rolls made with organic golden flax seeds, figs, raw agave syrup, sunflower seeds and a wonderful mix of spices. 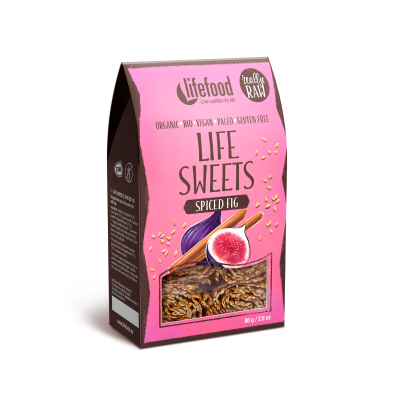 A fun product which delivers both nutritionally and on taste. Golden Flax Seeds* (45 %), Dried Figs* (31 %), Raw Agave Syrup*, Sunflower Seeds*, Gingerbread Spice* (1,6 %).